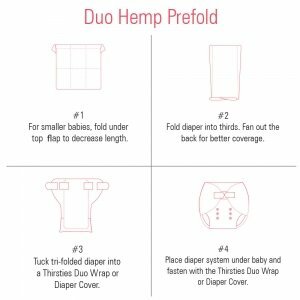 Thirsties Duo Hemp Prefolds are no ordinary prefold! 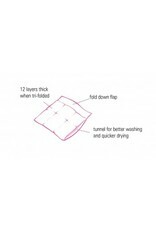 Ordinary prefolds are bulky and take a long time to dry. 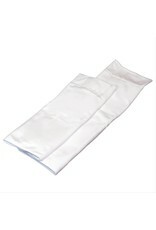 When hung to dry, they can become stiff and crunchy. 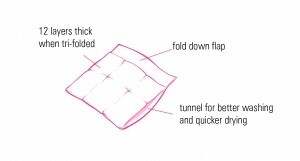 In addition, most prefolds are 8 layers thick in the middle, which makes it difficult to clean all layers of the diaper thoroughly. 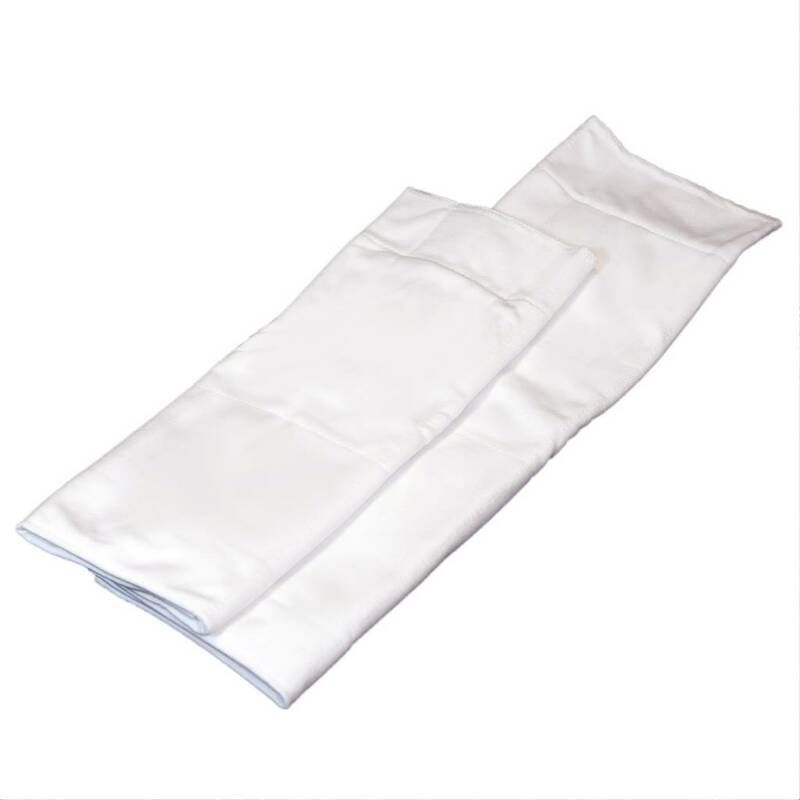 Thirsties Duo Hemp Prefolds are designed to allow water and air to flow through the 2 layer thick panels, permitting thorough cleansing with little effort and quick drying times. 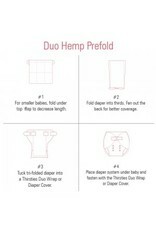 When trifolded the prefold provides 12 total layers of thirsty hemp cotton! Made in the USA...right here in beautiful Colorado!